Could the raw milk boom be a lifeline for struggling farmers? Direct sales of raw milk might ease the dairy crisis, though it remains a hotly contested and regulated food. For years, fourth-generation Pennsylvania dairy farmer Edwin Shank farmed according to milk industry and university extension advice: he increased his herd size, administered bST growth hormone, and milked his 350 cows three times a day. It was successful, in a sense. “We were working our heads off producing a tractor trailer load of milk every two days,” Shank says. Nonetheless, Shank faced financial ruin when the price of milk plummeted in the early 2000s. On top of that, his cows were routinely sick with a stomach ailment called displaced abomasum, which is common to high-production dairy cows and requires surgery. “It was a rat race,” he recalls. Then, in 2005, while transitioning his dairy to organic, Shank rubbed shoulders with neighbors selling raw milk directly to consumers. Once he began taking the possibility seriously, he recognized there was “a pretty big demand for [raw milk].” Consumers are driven by the love for the taste, its promise of valuable nutrients, enzymes and probiotics touted by the Weston A. Price Foundation, and the idea of supporting small-scale, pasture-based farms. In fact, he realized people were willing to pay more for it, and to travel miles for it. And when he did the math, Shank estimated at retail organic milk prices, he could earn nearly 10 times what he had been getting in the commodity market. Shank licensed his farm, The Family Cow, with the state department of agriculture and began selling raw milk in 2008. Now, his farm is the largest raw milk producer in Pennsylvania. He’s not alone. While many American farmers suffer through the dairy crisis or quit, others are choosing the economic opportunity created by the raw milk movement. In doing so, these food producers find themselves in the crossfire of a longstanding war over the risks and benefits of fresh, unprocessed milk. And it’s a fight that shows no signs of dying down soon. In 1987, the U.S. Food and Drug Administration (FDA) outlawed interstate sales of raw milk and established the Pasteurized Milk Ordinance (PMO) after years of study, public testimony, and a petition from a citizen health group led by Ralph Nader. The agency determined unpasteurized milk too hazardous for a warning label, since the risks were not related to misuse. Only an outright ban could protect the public health, a federal judge ruled. Nonetheless, most states have passed an array of regulations that permit access to raw milk. In 2004, raw milk was illegal in 19 states and that number has gradually shrunk to just five in 2019. 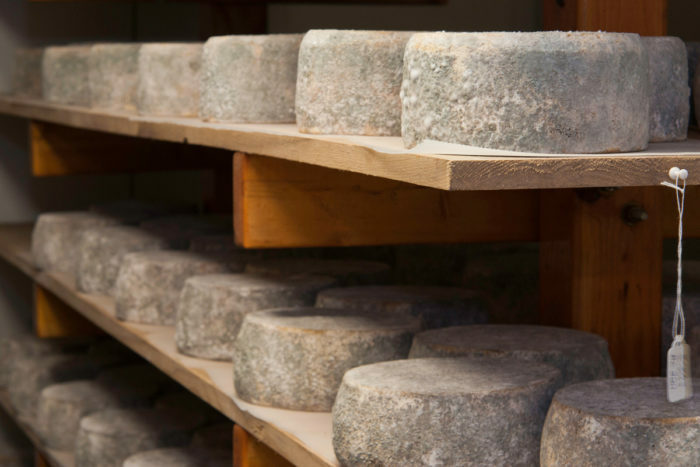 No state has moved to further restrict the raw milk licensing, and several inched their way toward increased access in 2018, according to the Farm-to-Consumer Legal Defense Fund. As of January 2019, 12 states have legalized retail sales, while 16 states allow on-farm sales of unpasteurized milk. Eight states permit herd share agreements, where people “buy” an ownership stake in a cow from the farmer and are entitled to the milk it produces. And in four states raw milk can only be sold as pet food. 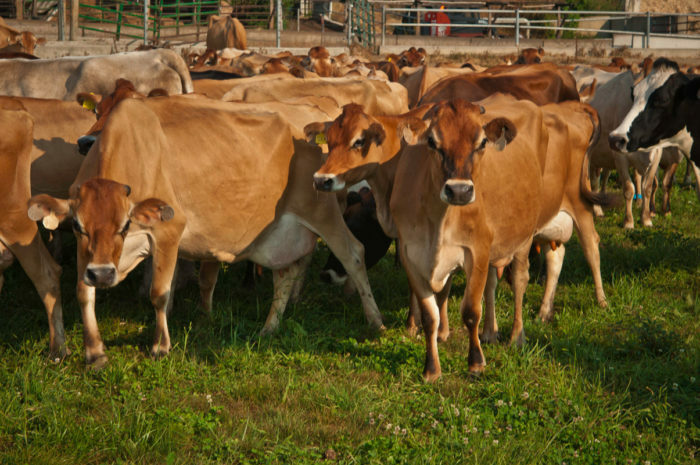 Currently, West Virginia’s Farm Fresh Raw Milk Act calls for reversing the ban on raw milk sales through herd shares. Massachusetts, which allows on-farm sales, is considering a bill that would permit delivery of raw milk, increasing sales opportunities for small-scale dairies in the state. Despite dire warnings and legal hurdles, Americans’ taste for unprocessed, fresh-from-the-cow milk appears to be widespread and growing in popularity among well-educated, health-conscious consumers. While there is no national data on raw milk consumption, a frequently cited 2007 CDC survey put raw milk consumption at 3 percent of the U.S. population at the time. But recent data from state licensing agencies indicates that the market has grown significantly since then. For example, in Washington state, where it’s legal to sell raw milk in stores, there were six raw milk licensed dairies in 2006. Now there are 32, according to the state department of agriculture. The number of permits for on-farm sales in New York state grew from 12 to 37 during the same time period. In other states, like Montana, state agencies have created agreements to look the other way. On the sales side, California’s largest raw milk dairy, Organic Pastures, which has products available in 450 stores, reported an 18 percent growth from January 2018 to 2019. Other independent dairy producers, including The Family Cow, have maxed out their milk production to meet the robust demand. There is also a bustling illegal trade in raw milk with several high profile FDA bustsfor distributing the substance across state lines. The most recent raw milk scandal involves the investigation of a brucellosis exposure from a single cow on an unlicensed Pennsylvania farm whose milk was traced to 19 states. The public thirst for raw milk roils health authorities, heightening the CDC’s public health campaign to warn people away from “raw milk myths” and the “real dangers” of the product. Of particular concern is the fact that illnesses contracted from raw milk can be severe with complications, and they tend to disproportionately affect children under the age of five. The official hardline position that no raw milk is safe to drink rests on a study of outbreaks between 2007 and 2012. The CDC concluded that outbreaks associated with drinking unpasteurized milk are higher in states that permitted raw milk sales and lower in states where raw milk sales were prohibited. But a 2018 studypublished by the U.S. National Library of Medicine makes a startlingly different conclusion. In that case, the researchers analyzed outbreaks from unpasteurized milk using CDC data from 2006 to 2016 by state and found that total outbreaks attributed to raw milk had actually fallen during the 12-year period by 74 percent. Further, the evidence did not support any correlation between legalization and increased outbreak rates. “Indeed, examining data up to and including 2016 shows that increased legal access after 2010 has been concurrent with generally declining outbreak rates, irrespective of change in consumption,” the authors wrote. This year so far the CDC has reported outbreaks of Listeria in pork products, E. coli in romaine lettuce, and Salmonella in tahini. Raw milk advocates point out that leafy greens are the most frequent cause of outbreaks (defined as any food-borne illness affecting two or more people), but they also make the point that no one is calling on Americans to stop eating salads. Government officials insist that milk is different. “The thing you have to remember about milk is that it is a wonderful media for bacterial organisms to grow and thrive in. It makes it a little bit different than a head of lettuce,” says Dr. Bill Barton, Idaho State Department of Agriculture administrator and state veterinarian. Proponents for raw milk are quick to point out that that no food is guaranteed to be safe and pasteurized milk has caused its own outbreaks, including a 2007 Listeria outbreak in Massachusetts that caused three deaths. Idaho, the third-largest dairy-producing state in 2010, is an interesting example of a place where producers and lawmakers are working together to reduce risk. The Idaho legislature passed new dairy regulations to allow small herd permits and herd share programs. “We weren’t naïve enough to think raw milk wasn’t being sold prior,” said Dr. Bill Barton, Idaho State Department of Agriculture administrator and state veterinarian. There are 109 licensed herd share licensed farms out of a total of 460 dairies, according to Barton. Each type of dairy license mandates regular facility inspections, milk testing, and herd testing for brucellosis and tuberculosis. Idaho also allows Grade A dairies to sell unpasteurized milk to stores, which are subjected to the same federal PMO standards as any other conventional dairy. The national shift away from the FDA’s prohibitions toward legalization stems from sustained pressures on state legislators to provide consumers with freedom of choice, part of the farm-to-table movement that’s led to a number of cottage food laws and food sovereignty movements. “Our position is that people should be able to choose what they eat,” says Farm-to-Consumer Legal Defense Fund’s McGeary, who notes that recent regulatory changes have been hard fought by the mainstream dairy industry and health authorities. The organization is joined by a legion of “food freedom” advocates who accuse the government of maintaining a double standard when it comes to the only food banned from interstate commerce. “Fluid raw milk is the only food category where anything less than perfectly safe is unacceptable and where governments attempt to ban it,” Joseph Heckman, a soil science professor at Rutgers University who writes about organic agriculture, told Civil Eats via email. A resident of New Jersey, which is the only state that has banned raw milk outright, Heckman sees the disconnect. And he travels to Pennsylvania and elsewhere to buy raw milk for his family. Mark McAfee is president and chairman of Raw Milk Institute (RAWMI), a non-profit created in 2011 to educate dairy farmers and promote risk-assessment management plans and production standards for raw milk. “There are some people who are really stuck on ‘Don’t tread on me,’ freedom at all costs,” he says. But the 18 farms approved by RAWMI, including The Family Cow, represent a segment of the industry committed to education, training, and rigorous food safety standards. McGeary sees the discussion as broader than food safety. She points to fact that FDA has no incentives to change long-standing laws and regulations that benefit large producers and retailers. “The problem is they aren’t really thinking about how small farms should address safety,” she said. Every week, Oregon farmer Charlotte Smith of Champoeg Creamery supplies 100 families with raw milk sold out of a farm stand 30 miles south of Portland, Oregon. State law limits Smith to milking just three cows, so she always has a waiting list. But the income is enough, supplemented by eggs and chickens, to support this fifth-generation farm year-round. “I milk three cows and my neighbor who milks 300 cows could probably make as much money as me if he sold all his cows and milked three,” she says. In fact, Smith has become so successful at direct-to-consumer marketing that she’s turned her expertise into a side business called 3Cows Marketing to help other independent farmers of all kinds learn how to become profitable. One client selling raw milk in Michigan is helping pull her family’s conventional dairy farm out of debt. Smith is also seen as a hero of the raw milk movement. She began producing it 10 years ago in hopes of healing her children’s severe eczema, and when it worked, she began championing its health benefits. Although the health claims from drinking raw milk remain roundly discounted within the American health community, her customers tend believe that it has a range of nutritional and medicinal qualities. “Anybody selling to the public is going to want to embrace this technology because it gives you information that’s forward looking,” he adds. But government officials are unconvinced that there is any way to test for pathogens in a way that ensures the milk is safe to drink. Farmer Edwin Shank disagrees. In 2012 and 2013, his operation was linked to an outbreak of Campylobacter. In response, Shank built an on-farm laboratory and instituted a test-and-hold protocol to ensure that the milk tests at levels at or below the federal standard for pasteurized milk. “We do milk totally different from the way we used to,” Shank says. Heckman argues that it’s high time to reevaluate the blanket opposition to unpasteurized milk. “More progress towards food safety can be accomplished by providing education and training programs for dairy farmers,” he said, adding that universities and extension offices could play a role in providing the education and resources to mitigate the risks. His view is supported by the 2018 National Library of Medicine study, which found that raw milk outbreaks had gone down since 2010 due to the combination of stronger regulatory practices and inspections coupled with on-farm education and mandatory bacterial testing.